Sebastian and Chris. Wizard World '16. 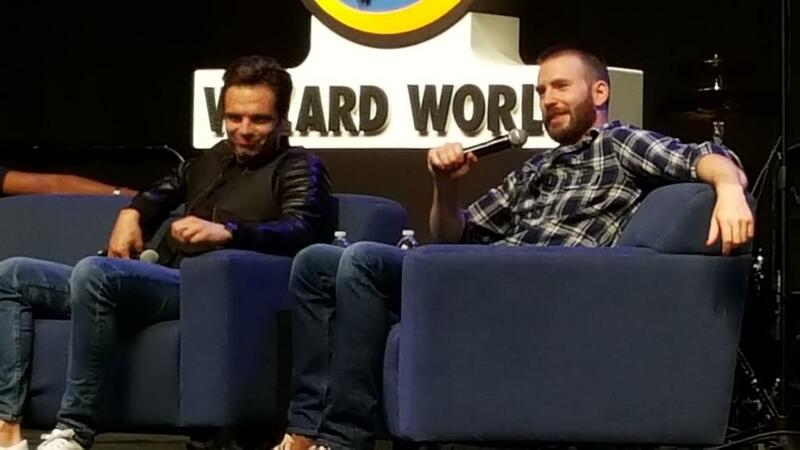 HD Wallpaper and background images in the Chris Evans & Sebastian Stan club tagged: photo sebastian stan chris evans evanstan wizard world convention interview panel. This Chris Evans & Sebastian Stan photo contains business suit. There might also be well dressed person, suit, pants suit, and pantsuit.